Post subject: Re: Split Topic: Wanna see where many Star Wars props ends? 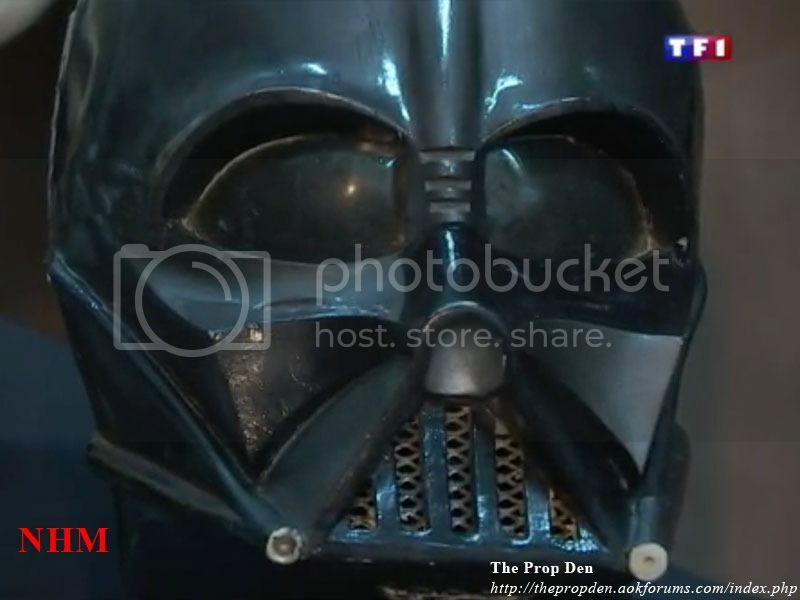 Half of the material in this forum is about the original ANH helmet and its mysteries. Now the helmet is here and I hear only silence... :-)Probably we all are shocked. Well, the thread about the original is in another part of the forum. The mysteries are still there. The interest is still there. I'm still psyched as hell that it was found. Spent a lot of time looking at the video showing the piece and the other one showing all those other pieces. It's going to be really interesting when and if high res photos appear. Yes but it's lifeless like this one. Well, I'm busy doing other stuff and there's very little activity in general both here and even on the RPF. I'm struggling with my scaled project on more ways than one and being under a time constraint I can't really focus on other things, as once the trial license on my 3D software runs out, I'll no longer have the ability to work on and save the 3D models I'm getting ready to have printed. That's what's taking up most of my time. And to be honest... I'm not really keen on getting into lengthy discussions, rather than actually go over the footage to see what I can pick up of interesting things. Currently I'm trying to match things seen in this found mask to the Chronicle pictures, even back to before the "repaint" with the Corbis pictures and further back and into production to see what nicks and damage are original and what came after production. All this takes a long time, as much of the picture reference is rather quess-worky... and not conclusive, so it's cross-referencing with a lot of sources. I don't have my TM's anymore so I can't check whether that damage we see is actually preserved in that cast or whether it was removed - if there cool, if not that doesn't really say whether the damage on the original came prior or post the molding session... just that it's not on the TM. The SL would probably be a more viable cast to determine those things because it hasn't been reworked as much as the TM was, regardless of how much detail was retained. ...and be working on the Quasimodo ANH V3. There are so many more little dings he could be adding to his casts to bring that baby up whole nother level. Such an exciting time - and I just got here a few months ago.